Chile, a country of diverse beauty with 3000 miles of coastal line, takes pride in being the home of some of the most beautiful beaches in Latin America. Ample golden sands, enough serenity, the majesty of the blue skies, gentle sounds of white-crested waves – you will find no shortage of charm and peace in beautiful Chile beaches! The beaches are perfect for catching some tan with a good book on the lap and drink on the hand! Most of the beaches in Chile lie around equally appealing towns as well, which also adds unique character to the beach environment. Vina Del Mar, brimming with souvenir shops and seafood restaurants along the seaside walkway, is the Chile’s most famous beach destination. It’s only 1.5 hours motor drive from Chile’s capital Santiago. The long stretch of white sands and a vast expanse of icy water with stunning Ocean view makes Vina del Mar a for lavish tourists. Hence, all the most excellent things and amenities of life are available in Vina Del Mar and things are kind of pricey here though that doesn’t prevent anybody to lie down on the beach with Pablo Neruda poems on hand! 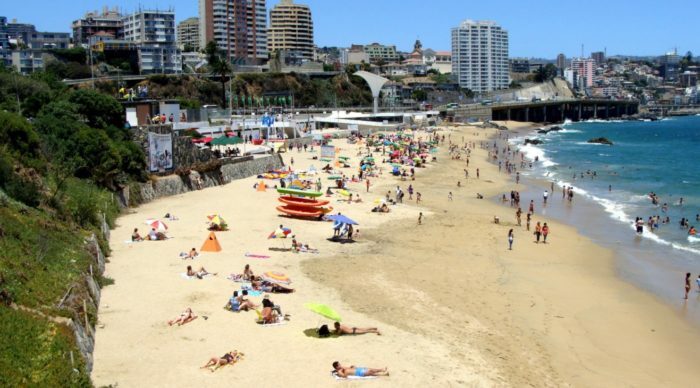 Set on the northern side of Vina Del Mar, Concon beach has immense popularity among both locals and tourists. 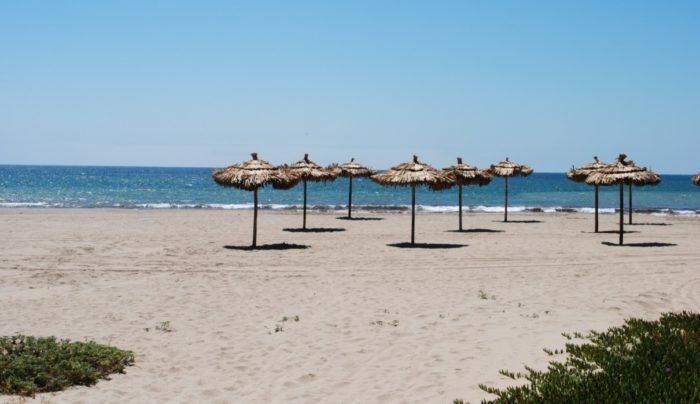 The clean, blue water is perfect for swimming and surfing although the principal attraction of the beach is the large dunes standing sporadically between the sea and the main road. It’s tough to climb up the dunes, but if you could manage to get up there somehow, you will experience some beautiful panorama of Pacific Ocean which will make an effort worthwhile at the end. Flaunting white sugar sands and crystal clear water, Bahia Inglesa or English Bay is the undisputed beach queen of Chile’s beaches. The beach provides the perfect blend of sun, sand, and sea. It seems to be popped out of a postcard and it is one of the most snapshotted places all over the Chile. 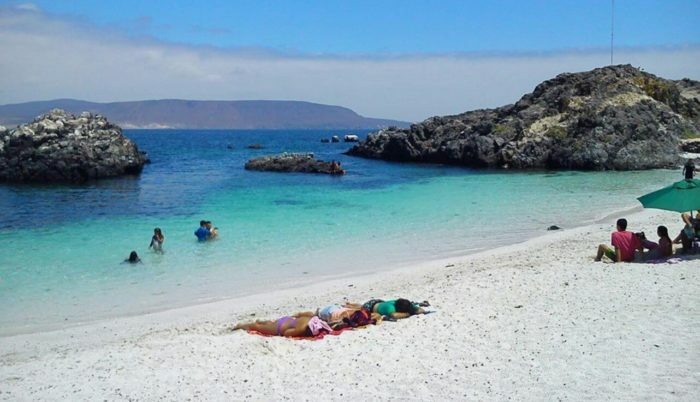 Apart from its visual grandeur, the water in Bahia Inglesa is comparatively warmer than other Chilean beaches. So, swimming, diving, and surfing are favorite activities in the area. Looking for a picturesque beach with gleaming sun, gentle breeze and calm waves lapping against the shore? Come to La Serena; it will perfectly fit your bill! Set on approximately 500 kilometers north side of Santiago, you can reach the beach directly via a 1-hour plane ride from the capital. Once you set foot on the sand, feel free to stretch out anywhere and stare at the stars and planets dispersed across one of the world’s clearest skies. With turquoise water and calm and quiet surrounding (not so calm in the summer months), the beach is impeccable for enjoying some solitude and make you fall in love with the place. It is one of the most popular yet less crowded Chile beaches. Situated in the North of Viña del Mar, Zapallar is an upscale, quiet beach resort place backed by green hills and lofty cliffs. 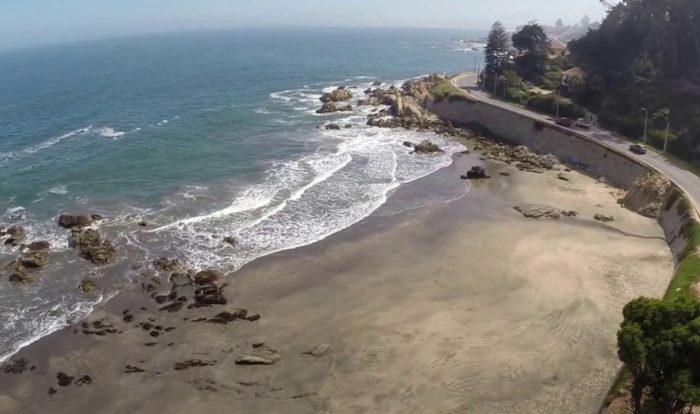 The beauty of the beach is one of best in Chile, and this is why there are so many luxurious apartments and fancy weekend houses lining the small inlet. The sand is wonderfully white, and the fishing port is quite stunning. There are a good number of restaurants where you will be able to enjoy the fresh seafood delivered straight from the seabed to your plate. Thus, it is one of the most beautifl Chile beaches. La Caleta is situated within the area of “Bread of sugar” (Pan de Azucar) National Park on the verge of San Pedro de Atacama Desert at Bolivian border. Given its position, the landscape around La Caleta is desolate and sparse, adorning it with an enthralling beauty that nobody would want to miss! You can even camp on the beach to see the stars at night and get the thrill of ‘last man standing’ with roaring waves. For the day, hang around the area or hire a boat to visit the nearby Island where you will see a lot of adorable penguins. 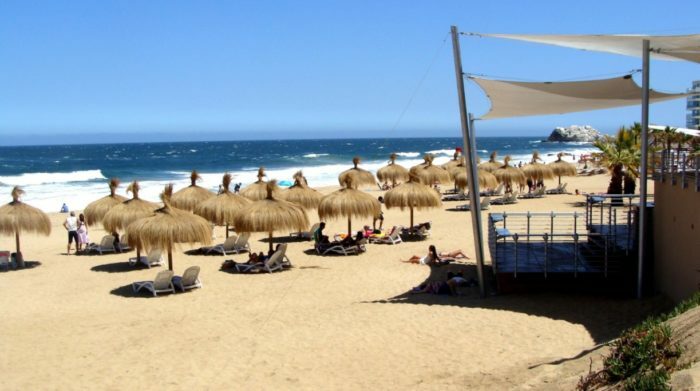 Renaca beach is the Chile’s showcase of popular Latin American cultures that are featured by other Latin American beach resorts. 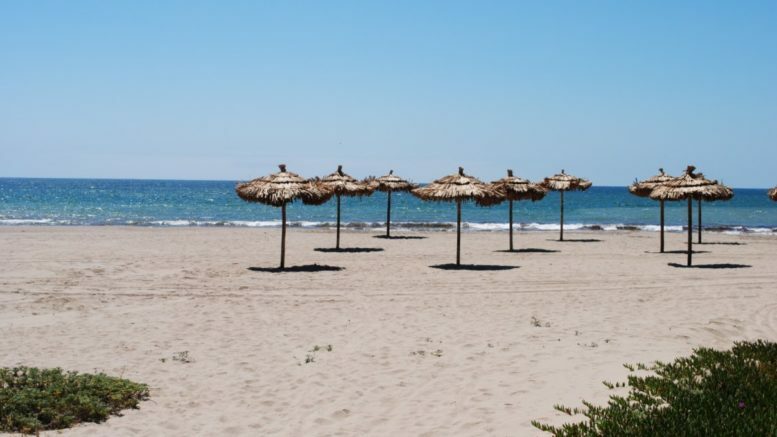 If a beach is ever titled as ‘hippie,’ Renaca would be it! 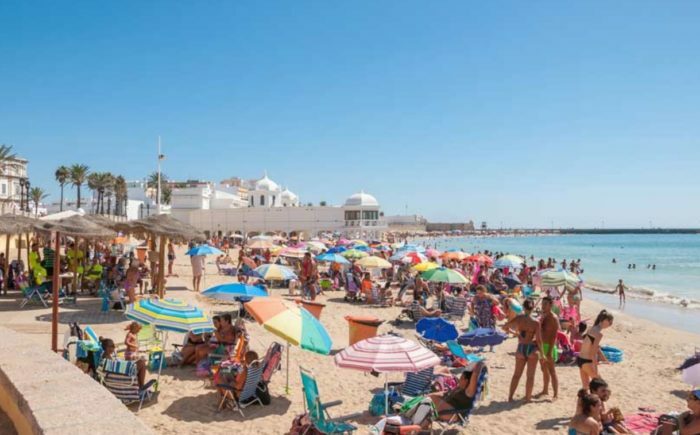 Visitors spend most of the time partying on the shoreline than taking a dip into the chilly water. The 1.3km white sandy stretch is a hotspot for prepsters, and sun tanning seems to be the most popular of activities! There are lots of stalls along the boardwalk selling seafood, beach bags, and souvenirs at gringo price if you can’t speak Spanish in native tone! All these attributes make it one of the best Chile beaches. 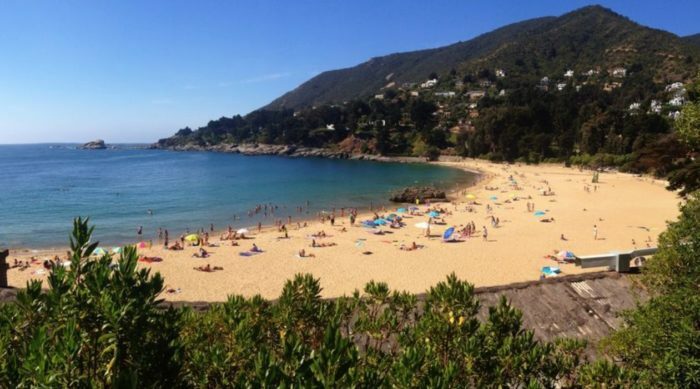 2 Comments on "7 Most Beautiful And Best Chile Beaches"
Some great looking beaches there! Fantastic country! Yes, really cool beaches. You have a wonderful site. I would like to contribute to your website. Is there any opportunity?